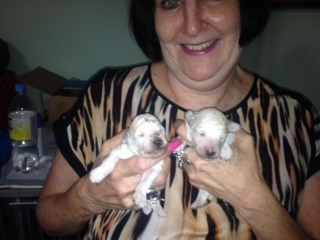 Look what mum found in Cowra – a lovely litter of ice white toy poodles. I wonder if one of them is going to join the dream team!!! Whats a good name for a little ice white boy – any suggestions???? ?